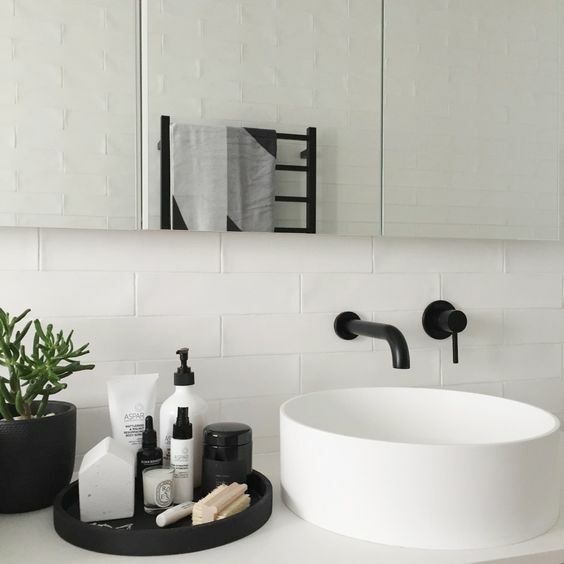 If you are anything like us, your Pinterest feed has been increasingly filled with luxurious bathrooms that are more spacious than the average studio apartment these days. 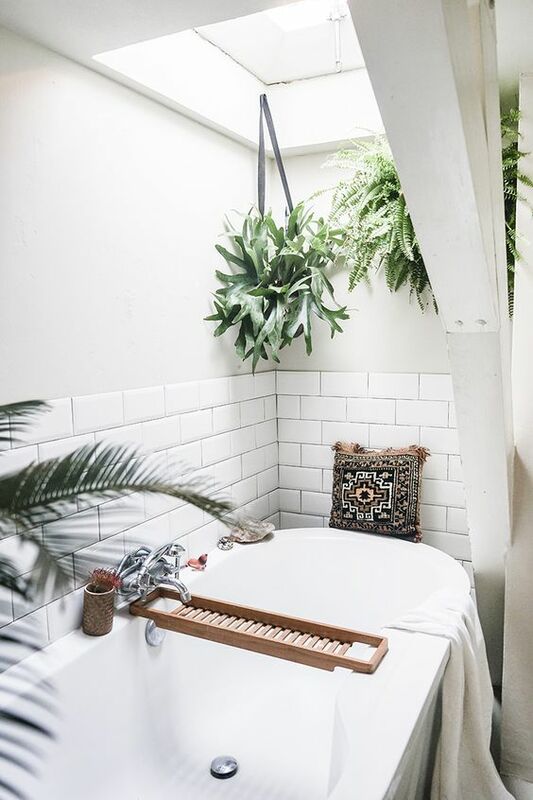 A best case scenario, you feel like these bathroom goals are completely out of reach. Worst case, you’re left feeling downright defeated. Well chin up, friends. 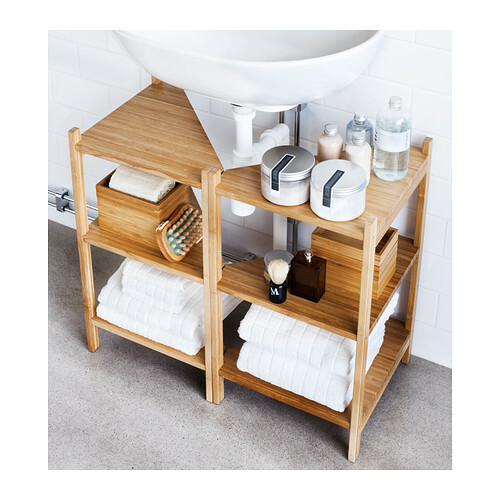 We may not have our palatial loos just yet, but that doesn’t mean that we can’t have incredibly clever storage that meets all of our needs while keeping our small bathrooms stylish and clutter-free, too. 1… Tall and thin vertical shelving maximises space. 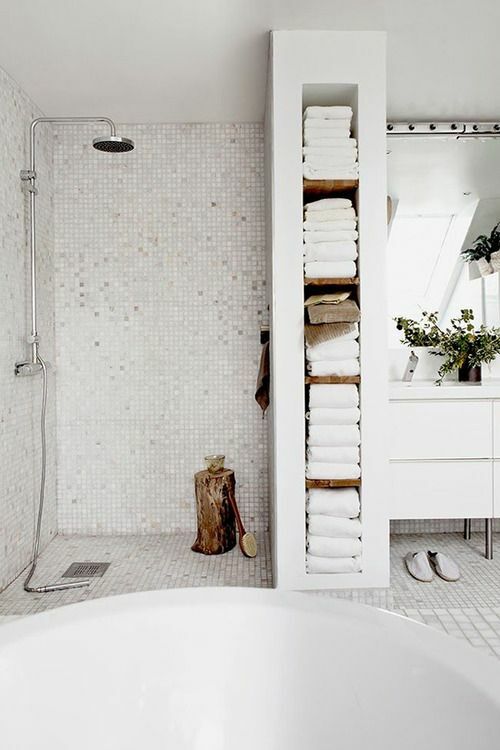 Vertical shelving is always a great option to sneak in bathroom storage. 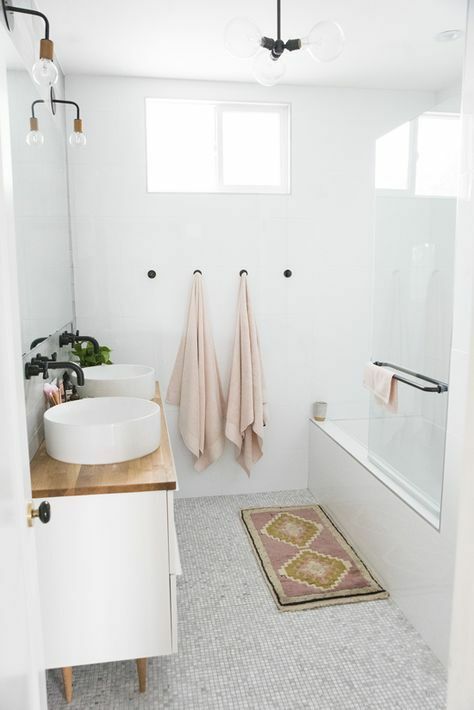 Having fresh towels and facecloths readily available is a luxury no matter how big or small your space is. Bonus points for adding in greenery. 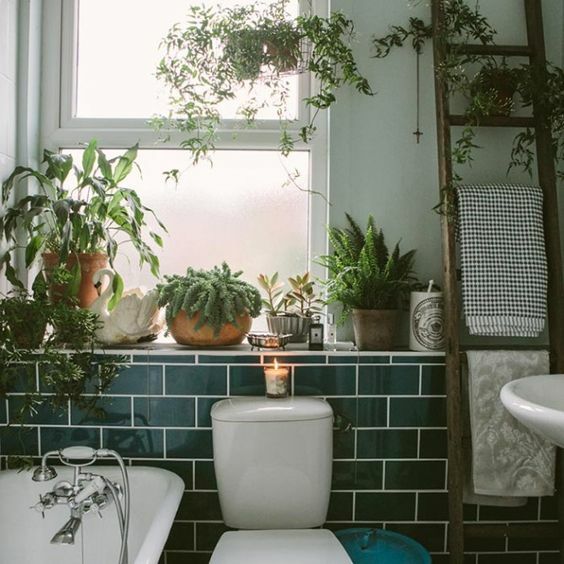 Bathrooms are a great home for plants, since plants can liven up a space and the need to water them is eliminated thanks to moisture that occurs in bathing spaces. 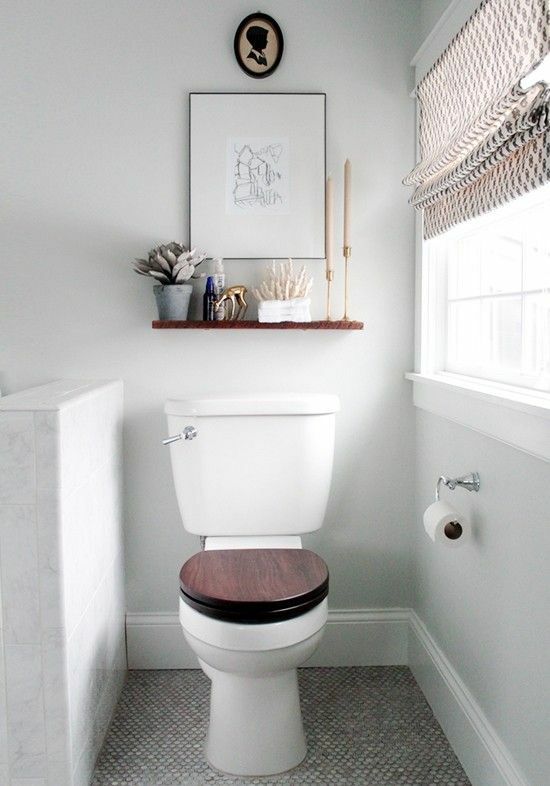 2… Use the space above your toilet to add shelving. Whether it’s urban planning or bathroom planning, when there’s limited space to go out, go up. 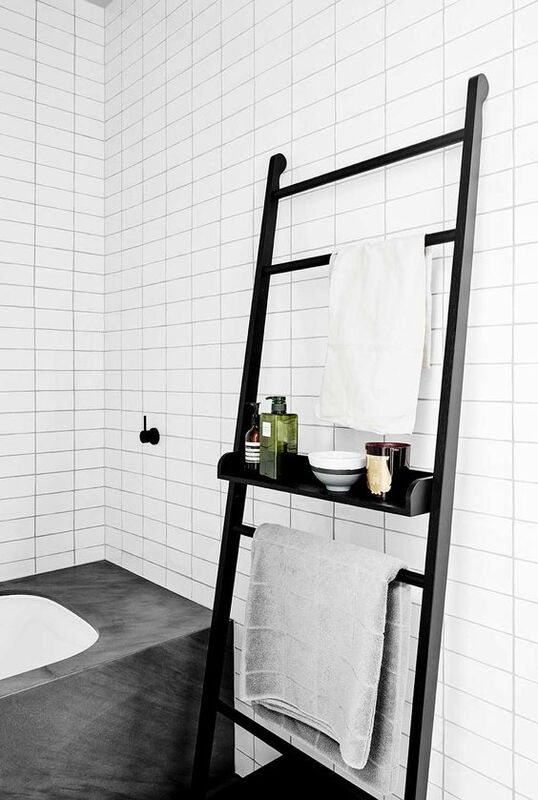 Utilising the space above the toilet is a fantastic option to maximise storage. And with floating shelves more popular than ever, you can store necessities while keeping the feeling open and airy. 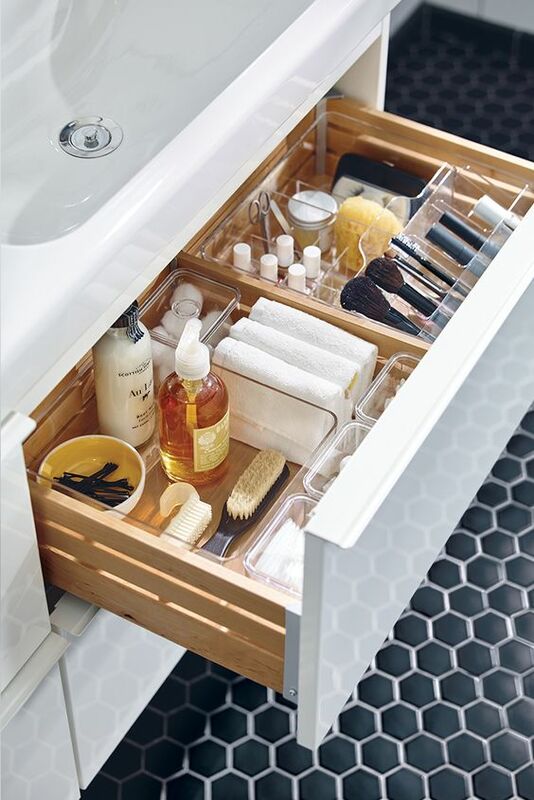 3… Trays next to your sink to keep the small items tidy. For the OCD in all of us, trays just might be our saving grace. 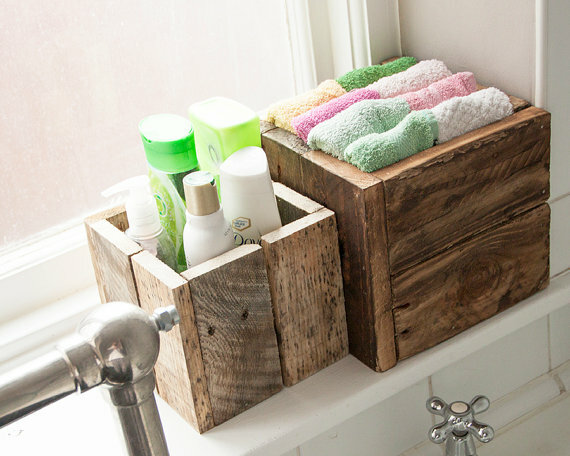 They are a perfect way to curate the items you can’t live without, and help to avoid a cluttered bathroom bench top. 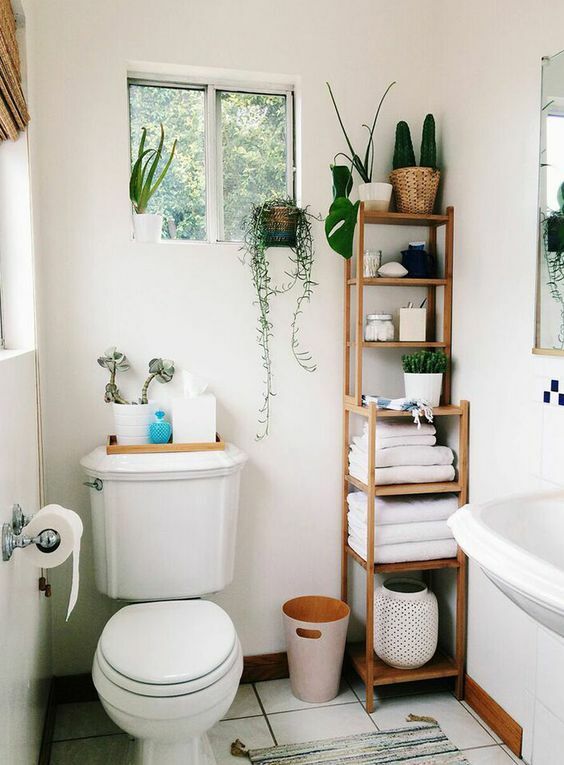 If you only have one bathroom, think about storing things like makeup and brushes on trays so you can easily transport your items to another household mirror when the queue to the toilet gets long. 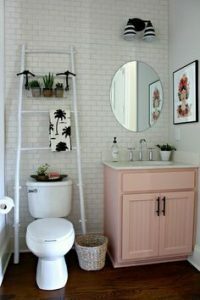 4… Store your towels and small items on a ladder. Again, going vertical is always a good way to go when you’re dealing with small spaces. 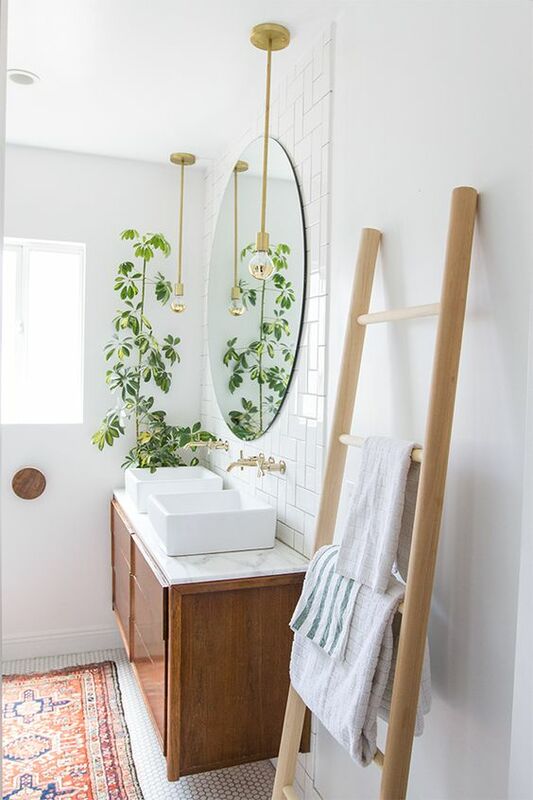 Repurposing as ladder in the bathroom can up your storage and drying game at the same time without taking up too much space. You can even add hooks and hang them on the wall to free up floor space or purchase one that offers a small shelf or two to store things like surgical jars, candles and soaps. Here, you can find more of our tips and tricks to using ladders around the home. 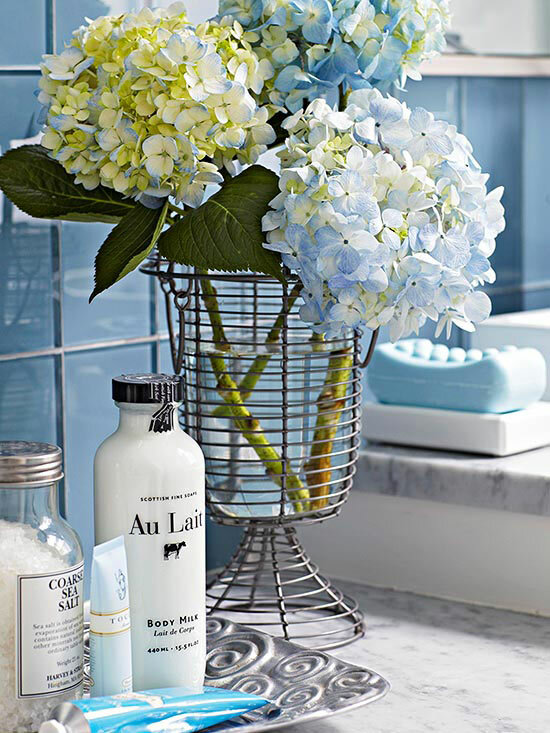 5… Disguise your laundry baskets. Who doesn’t get sick of picking up dirty clothes and towels in the bathroom. 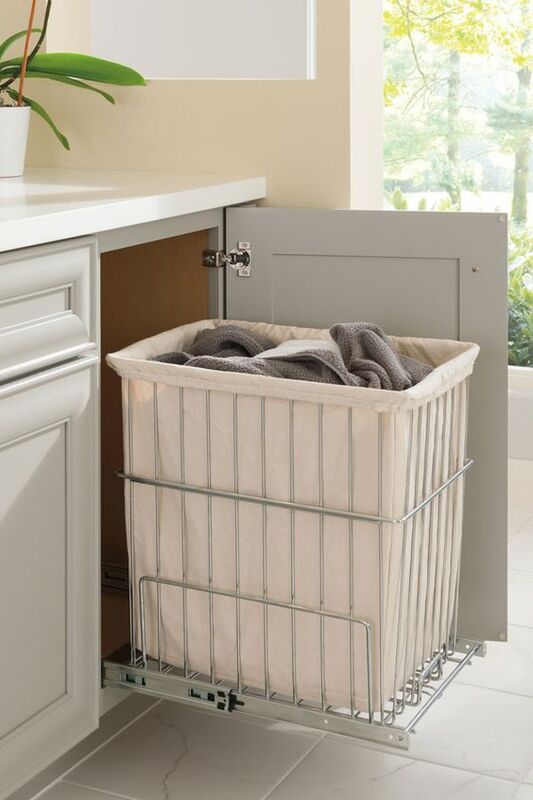 Let’s make things a bit easier on ourselves by adding a hideaway laundry basket. Since they slide out for easy tossing, and right back in for incognito storage, they make for a perfectly seamless bathroom and you don’t have to worry about a bulky basket in the corner. 6… Use the space under your sink to add shelving. Adding storage underneath your sink might seem like a no-brainer, but keeping everything nice and organised can be a bit more of challenge. Consider adding a small lazy-susan to one of your shelves and place everyday items that you and your household member use daily. This ensures easy access, without the hassle of knocking everything over in an effort to reach your favourite moisturiser. 7… Hang hooks for towels and other objects. 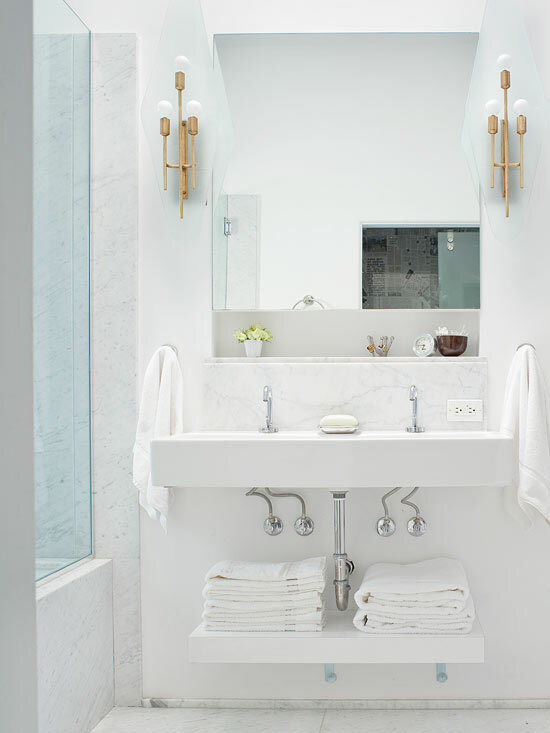 Compared to towel bars, hooks in the bathroom can bring a more relaxed element to the space. And they have the added bonus of taking up less space than bars. 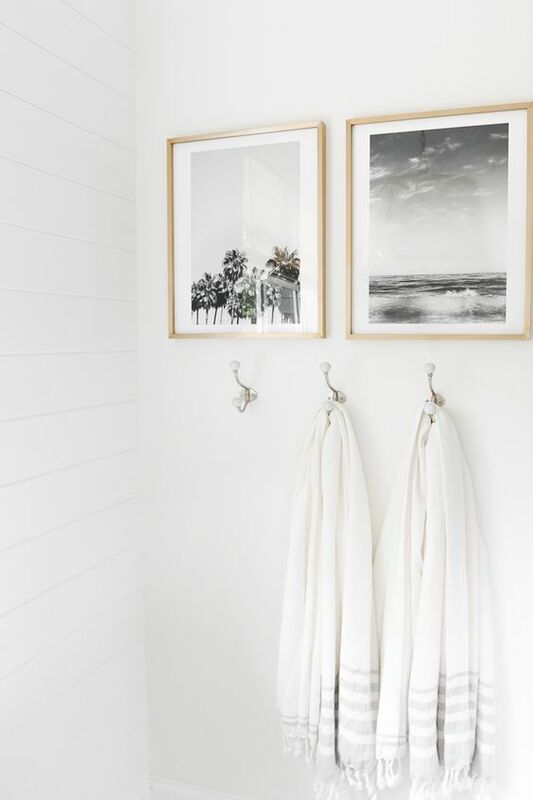 Be sure to get sturdy hooks with with an approximate 6 cm projections so towels don’t slip off and wet towels are far enough away from the wall to dry well without rubbing off wall paint over time. 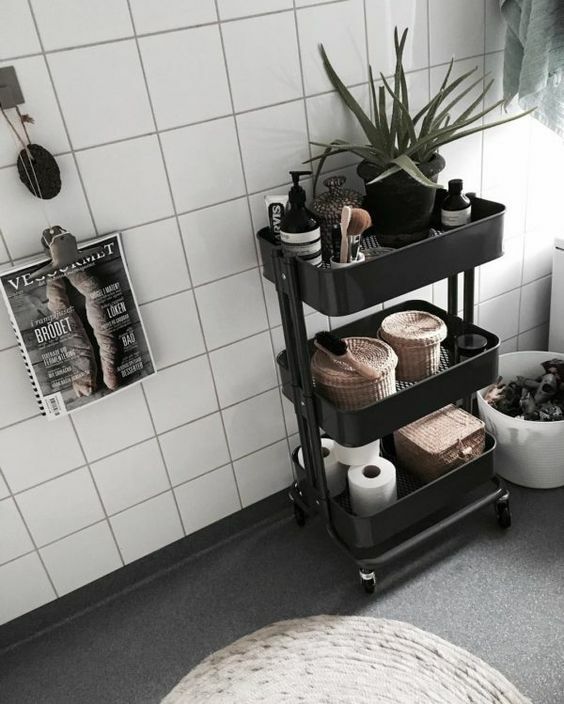 8… Bathroom caddy equals mobile organisation. Let’s face it, there’s a lot that goes into keeping us our most fabulous selves. 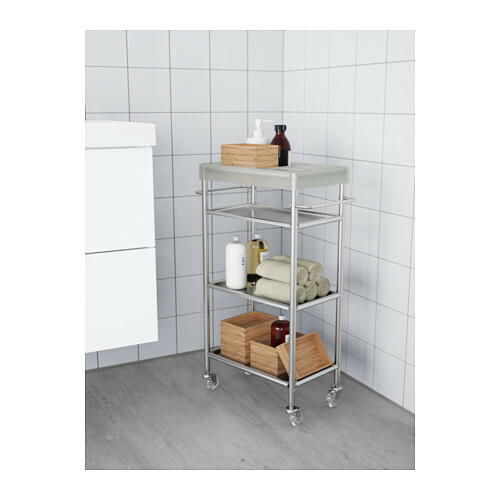 Store everything from toilet paper, makeup and blowdryers in a roller caddy to meet your needs and you can move it from one place to the next if you’re sharing the bathroom with multiple people. 9… Use jars, boxes and containers for all your loose objects. Have you ever experienced one of those super chaotic mornings that always ends up making the rest of the day just as frustrating and unproductive as it started? Keep your mornings as stress-free as possible by keeping things organised. 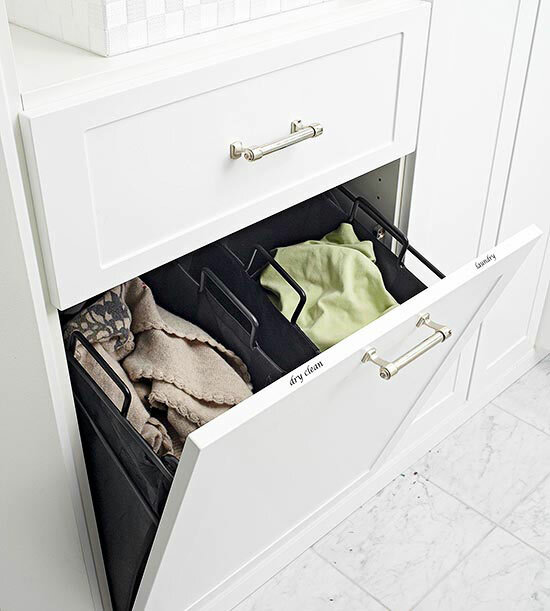 Having a large drawer for storage is amazing, but it can get unruly really quickly. Add inexpensive dividers to keep each item in its rightful place. 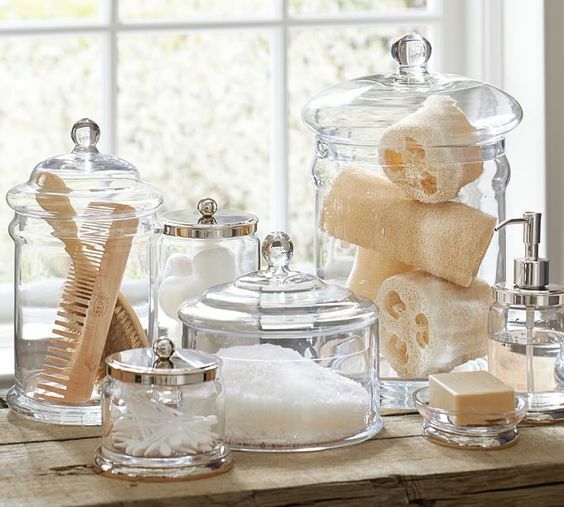 Clear jars are a tasteful way to display items, and you can easily see when supply replenishing is in need. 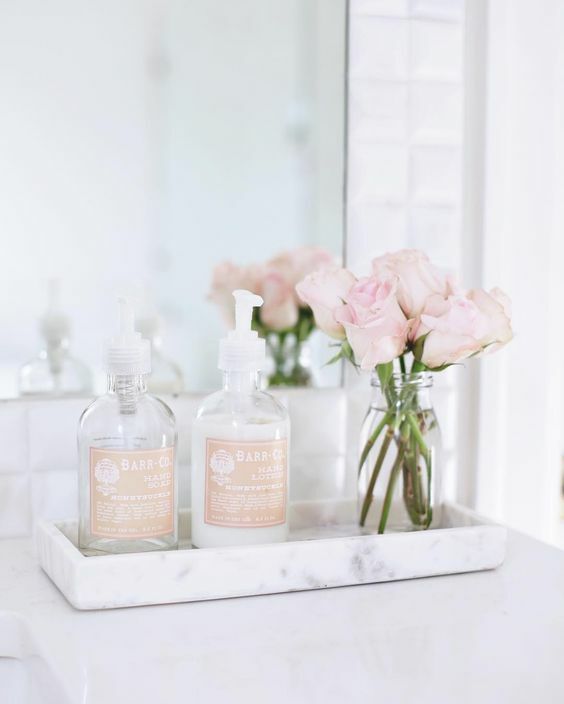 10… Bring life into your bathroom. Bonus points for adding in greenery. 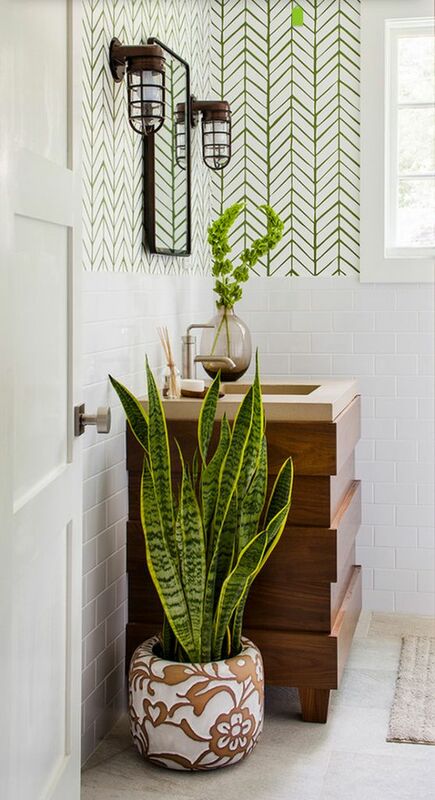 Bathrooms are a great home for plants, since plants can liven up a space and the need to water them is eliminated thanks to moisture that occurs in bathing spaces. We know that cramped bathrooms can be a real pain. 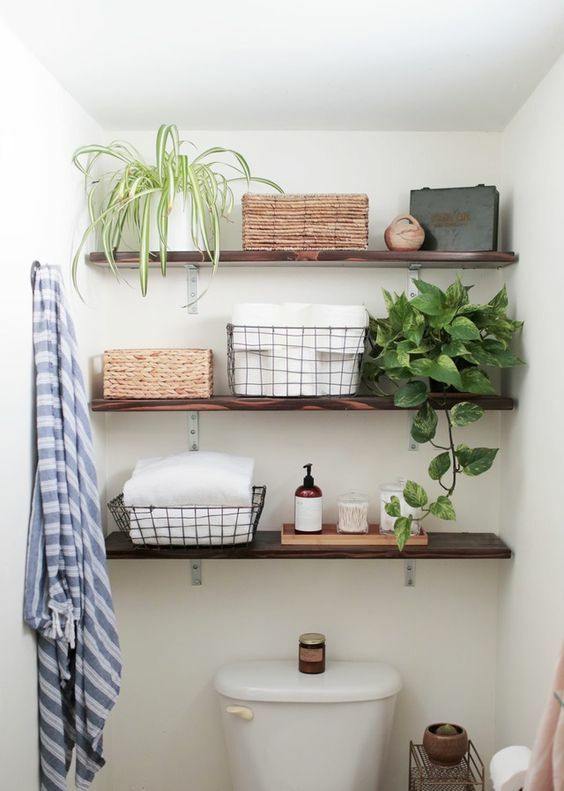 Hopefully by putting to use just a few of our storage tips for small spaces, you will be able to transform your bathroom into the stress-free sanctuary we all deserve. Which storage tips will you try? 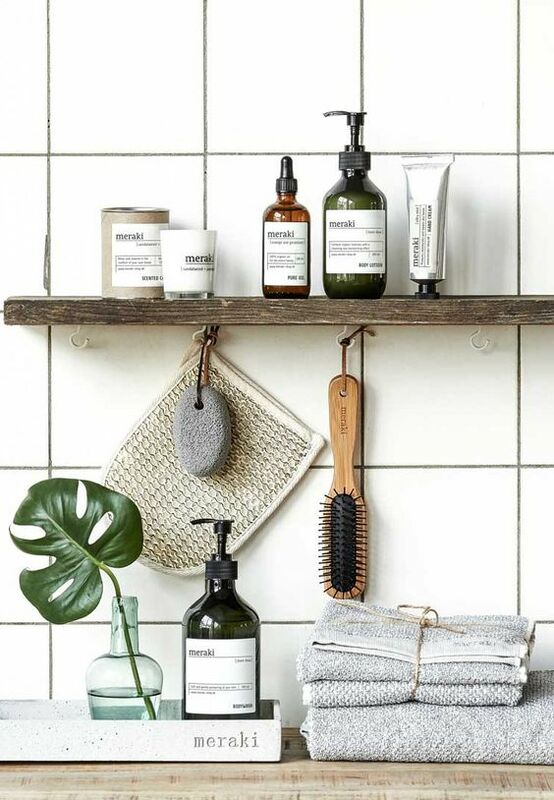 You can shop the look with our new bathroom style boards.